Este ático vacacional de lujo en Málaga, con diseño escandinavo es una de las tres opciones de alojamiento, con terraza privada en la azotea ( 20 m2 ), jacuzzi, cama con dosel, int. We had a great time in Malaga - it's a lovely city, with plenty to do. The flat was excellent and was well presented, clean and tidy. We found everything we needed there, and it was good to see there's a decent internet service. If I have a small niggle it's over payment: having to use Paypal with their charges isn't great, particularly since I was paying by debit card which goes through immediately with minimal charges. Effectively I gave Paypal 60 Euros or so for nothing. I know I could have paid in cash but that doesn't really work when coming from outside the Eurozone. That said, it is a small niggle and the holiday was great. I recommend the flat - lovely to sit outside on a balmy evening eating decent Spanish food and enjoying a glass of Manzanilla with friends. Best recommendation? Go to the Carmen Thyssen Gallery - it's superb. Fantastic apartment, very modern and clean. A great spot within the historic town with loads to do on our doorstep. 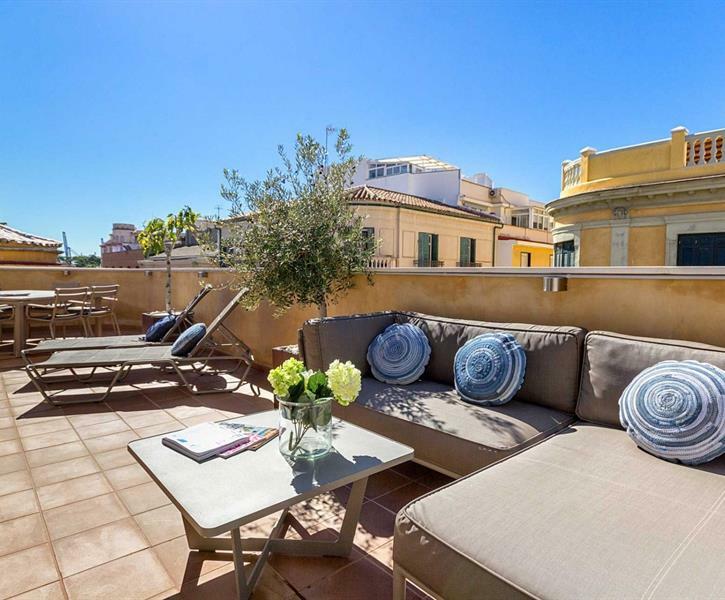 Apartment is spacious and the sun terrace is perfect for drinks on the terrace. Leiligheten var moderne og lekker. Veldig gode senger. Alt på kjøkken og bad fungerte. Det eneste minus var viften på balkongen som var både varm og lagde mye støy. Beliggenhet var veldig bra. Kanskje litt langt til stranda for de som vil ha morgenbad. Det tok ca 20 min. å gå til nærmeste strand. Mathallen og matbutikk ligger rett ved.